A Marine Corps band will perform during Thursday’s 87th annual Macy’s Thanksgiving Day Parade for the second time in history. The Marine Corps East Coast Composite Band rehearses for their performance in this year’s Macy’s Thanksgiving Day Parade. 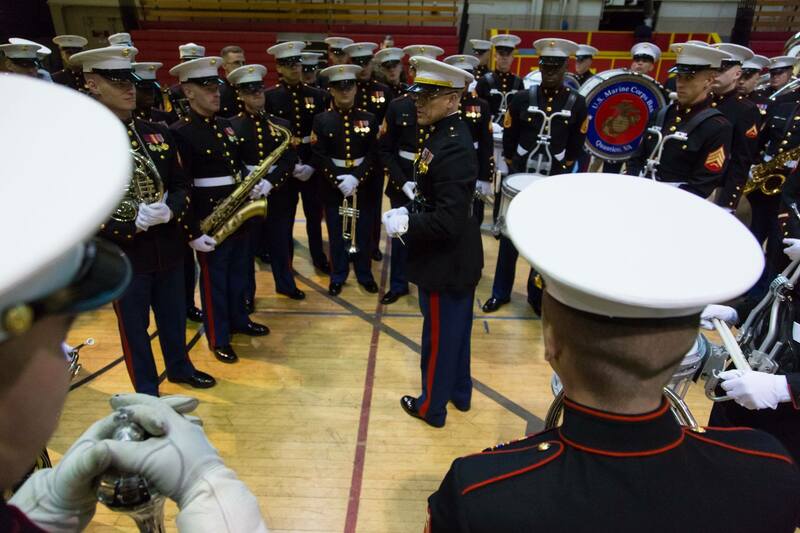 It’s only the second time a Marine band has performed in the annual holiday event. The Marine Corps East Coast Composite Band will be featured on NBC tomorrow during the live broadcast of the holiday parade. More than 3.5 million people are expected to gather in New York City for the event, and another 50 million will watch the parade on TV. The band’s performance is expected to begin at approximately 10:48 a.m. EST. The composite band will be comprised of 80 musicians from the service’s three largest east coast installations; Marine Corps Base Quantico, Va.; Camp Lejeune, N.C.; and Marine Corps Air Station Cherry Point, N.C., according to a Marine Corps news release. While bands on the West coast combine to march in the Tournament of Roses Parade on an annual basis, this is one of the rare times an East Coast Marine Corps Composite Band has ever been put together, the release states. The band will march two-and-a-half miles through downtown Manhattan during the parade. The New York Police Department’s marching band and the Macy’s Great American Marching Band are also expected to perform. This will be the second time Marines have marched in the parade. The Quantico Marine Corps Band made history when they marched in the parade for the first time in 2002, the release states. GO MARINES!!!!! So glad you’re playing in the parade!! I’ll be watching! Wear your long johns!!! It will be REALLY cold! !